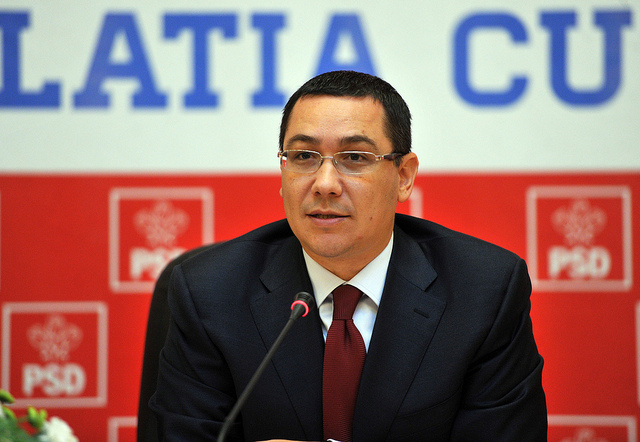 Romanian Prime Minister Victor Ponta was questioned Friday (5 June) by prosecutors at the National Anticorruption Directorate. They decided to place him under criminal investigation. EURACTIV Romania reports. The case, concerning Ponta’s work as a lawyer in 2007-2008, is being handled by the DNA anti-corruption agency. Romanian President Klaus Iohannis has called on the Prime Minister to resign. Ponta refused. “I was invested by the Parliament, and only the Parliament can dismiss me,” he stated. The accusations are related to another DNA investigation targeting Dan ?ova, currently a member of the Parliament, and a member of the Social Semocratic Party, of which Ponta is leader. Prosecutors say that there is evidence suggesting that Ponta received money from the Law Practice of Dan ?ova, based on a legal convention, without, however, performing any real activities. Ponta and ?ova are alleged to have agreed to create fake legal activity reports to justify the payments. A DNA report discusses the necessity of beginning criminal investigations against Ponta concerning three other conflict of interest offenses, related to his position of Prime Minister. The document states that it was a conflict of interest, according to Romanian law, when Ponta appointed ?ova, on three separate occasions, to positions within the government. As Ponta is also a member of the Romanian Parliament, DNA will request that Parliament approve the beginning of a criminal investigation against the Prime Minister, on conflict of interest charges. The dramatic events coincide with a visit to Bucharest of Commission First Vice-President Frans Timmermans, who is in charge, among other things, of the so-called Cooperation and Verification mechanism, which scrutinises Romania, and provides advice on how to improve the country’s under-performing law enforcement services. In recent months, Romanian anti-corruption officials have been able not only to indict, but to convict several high profile figures. When Bulgaria and Romania joined the EU on 1 January 2007, shortcomings remained regarding judicial reform and the fight against corruption. In the case of Bulgaria, problems also persisted regarding the fight against organised crime. A Cooperation and Verification Mechanism (CVM) was set up to assist both countries with judiciary matters after their EU accession. Seven years after their accession, the CVM is still ongoing. So far, the Commission reported under CVM every six months on progress with judicial reform, the fight against corruption and, concerning Bulgaria, the fight against organised crime. Written reports are published annually.